The business of culture is the business of designing, producing, distributing, and marketing cultural products. Even though it gives employment to millions, and is the main business of many large and small organizations, it is an area that is rarely studied from a strategic management perspective. This book addresses this void by examining a wide range of cultural industries--motion pictures, television, music, radio, and videogames--from such a perspective. 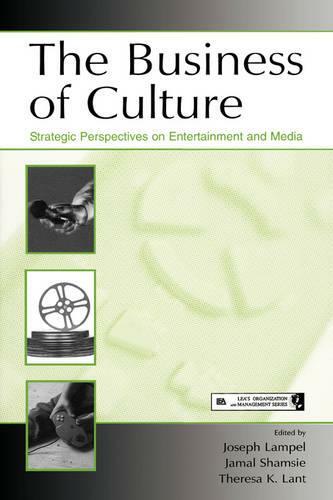 The articles included in this book will be helpful to individuals who seek a better understanding of organizations and strategies in the entertainment and media sector. But it should also provide valuable insights to managers and entrepreneurs who operate in environments that share the creative uncertainty and performance ambiguity that characterize most cultural industries.